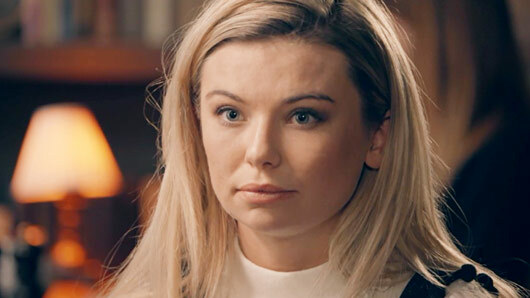 Made In Chelsea star Georgia ‘Toff’ Toffolo has said that Mimi Bouchard “shouldn’t get the blame” for Olivia Bentley and Fredrik Ferrier splitting up. New girl Mimi has given quite the first impression since stepping foot in Chelsea and has already caused a seemingly happy relationship to break down. The latest cast member ruffled some feathers after openly flirting with Liv’s boyfriend Fredrik. When Liv discovered that Fred hadn’t exactly turned down her advances, she accused her man of having a “lack of respect” and “embarrassing” her before ending the romance. Mimi’s actions have divided cast members, with Daisy Robins telling Star magazine: “I’ll always have Liv’s back. I don’t think it’s right to behave the way Mimi did. I really don’t care for her, she’s not my cup of tea. The MIC star continued: “She’s headstrong and very confident, which the other girls find intimidating. Talking to Star magazine, Toff added: “I don’t know why everyone’s up in arms about it. If a guy behaves the way friend did, the girl shouldn’t get the blame.